Janelle, an SLP in an urban elementary school, was flustered when the principal directed her to ensure that her students’ AAC devices didn’t go home on weekends or during school breaks. She hated to see the students lose access to communication during those times but, Janelle understood the principal’s logic. The device had been bought and paid for by the school, and they had to scrounge around to find the funding for it. If it were to get damaged or lost, the school would have to replace it, and there were no funds for that. It was unfortunate, Janelle felt, but, what could she do? Later in the year, when the results of a system-wide audit came out, Janelle’s students were some of the ones identified as having been denied their rights to a Free, Appropriate Public Education (FAPE). Had she known the intricacies of laws and regulations that affect AT and AAC, Janelle could have prevented this embarrassing and costly violation. In Barbara’s school, there were several low tech AAC devices that were used in classrooms serving students with intellectual disabilities. She knew that some of the students had outgrown those devices, but was uncomfortable in moving them into more sophisticated AAC technology. Barbara knew little about it and had so much on her plate already that there never seemed time to investigate those options. It was easier just to keep quiet and stick with what they’d been using for the past many years. When Barbara was out on medical leave following surgery, the contract SLP hired to substitute for her was horrified that such capable students lacked access to AAC technologies appropriate for their ability levels. She feared for her license and reputation and asked to be reassigned after the first week, leaving the school without SLP coverage for the next two months. A student at Marta’s school had an AAC evaluation at an outside clinic in which a high tech SGD was recommended. 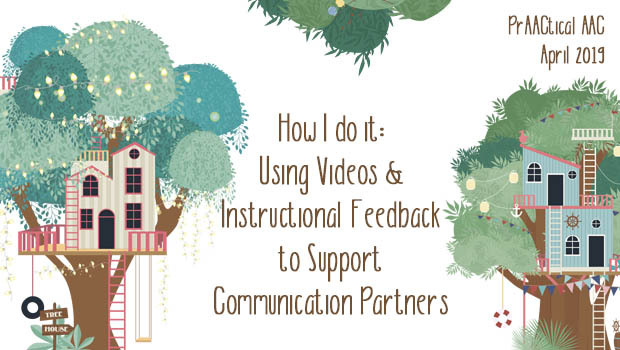 Marta was a little miffed at the idea that an SLP who barely knew her student would make such a bold recommendation, and, though she hadn’t done her own evaluation, she doubted that student could be successful in using such a robust AAC system. Marta convinced the team to oppose that recommendation and hold to the status quo without giving careful consideration to the outside evaluation. Ultimately, the family pursued outside AAC therapy and used their medical insurance funds to purchase the high tech AAC device. When the family brought an advocate to the next IEP meeting, Marta was surprised at how contentious the relationship had become. Every observation was challenged, every suggestion was met with skepticism, and every decision was hotly debated. Whereas previously Marta had a neutral or positive relationship with this family, she now felt as though her words and actions were constantly scrutinized and that they pounced on any perceived missteps. Since the contentious IEP, the student has been making excellent progress in using the robust AAC system in outside therapy and at home. Marta and the team continued to resist its use in school. This, among other things, prompted the family to file for due process, and eventually, won several concessions including a requirement that the team use high tech AAC throughout the school day. Several other families have since sought services from the outside clinic and from the advocate who successfully led them through due process. Here’s one thing that these problems have in common: The solution to fix them was way more expensive in terms of money, time, and stress than it would have been to do the right thing in the first place. Clinicians who are knowledgeable about current AAC issues, research, and technologies will not only do a better job at serving their students, but also help guide the team in matters related to AT law, regulations, and best practices. Unfortunately, most practicing SLPs received only a very limited degree of AAC training during their graduate work and have learned most of what they know about AAC on the job, from internet resources, attending inservices, and by networking with colleagues. That’s a good start, but is generally insufficient, particularly when the SLP serves primarily high incidence populations. When SLPs spends most of their time serving students who need help with speech sounds, fluency, language, and voice problems, they prioritize learning more about those disorders. Often, that leaves them unprepared for dealing with the complexities of students who need AAC. How can administrators attract and retain SLPs who have the AAC knowledge and skills to avoid or minimize problems list these? In a previous post, we addressed the issue of adequate SLP workspace. Today, we focus on another piece of the puzzle: Training. Administrators can attract and retrain strong AAC SLPs through their advocacy and support for ongoing training. Yes, it takes creativity and time to determine how to prioritize this. Maybe you’re thinking that AAC training for the SLP ‘would be nice’ but it ‘isn’t really necessary.’ Not convinced that it is worth the effort? After all, the school has gotten by ‘just fine’ without attending to these issues. 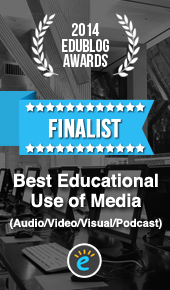 There are over 200 AAC devices, software programs, and apps that are used in educational settings. It is highly unlikely that the SLP knows enough about each of them to utilize them effectively with students on the caseload. It makes sense that the SLPs need more ongoing training than other staff, because the team looks to them to guide AAC assessment, decision-making, and implementation using a wide range of complex, ever-changing technology. The IEP team generally looks to the SLPs for leadership and guidance in the area of AAC. If the SLP has insufficient knowledge or experience with a student’s AAC technology, it impacts the entire team. Just because an administrator isn’t aware of problems that stem from SLPs being under-trained in AAC doesn’t mean that the problem isn’t there. In many cases, there is trouble brewing just beneath the surface. Isn’t it better to uncover and address small problems before they expand in scope and depth? We gain a lot of insight when we discuss ongoing AAC training for the SLP as an expected behavior. A professional who doesn’t share this value will be out of step in a very short period of time. 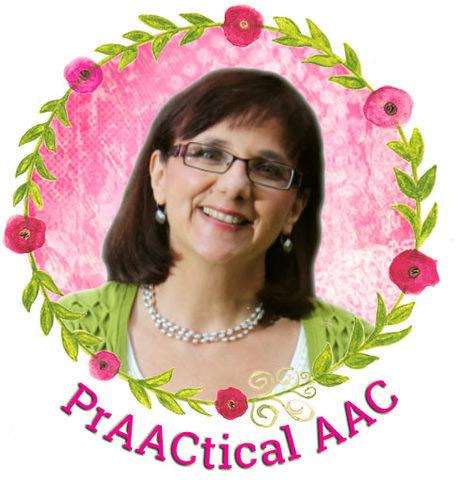 Assess their commitment to ongoing training, and look carefully at their previous history in educating themselves on AAC-related issues. It may be time to re-think mandatory training sessions in a serious way, particularly for SLPs. Take an individual approach to determining which school-wide trainings the SLP should attend. Rather than having a blanket rule that all professionals attend the same mandatory training, administrators can look at the needs individually to determine whether it is appropriate and a good use of time for the SLP to attend trainings designed for teachers. Time spent learning about things that are not relevant take time and energy away from training on AAC content that is essential for student success. Advocate for a more thoughtful approach when districts exert pressure for all professional staff to be trained in the same content. We all agree that students who use AAC have different needs and won’t achieve their potential in a one-size-fits-all approach. Doesn’t it make sense that an SLP who is well-informed on the technologies, strategies, legal and regulatory issues, and other AAC-specific content will provide better services to the student and guidance to the team? When we ensure that the SLP has work time to learn more about AAC research, practices, and tools, he/she can better support teams and individual students. Does it take effort and creativity to do this? Yes, but not nearly as much as it will take to deal with the problems that will emerge from being undertrained. As the saying goes, if you think education is expensive, try ignorance. Support attendance at local, state, and national conferences. Allow SLPs to take advantage of the dozens of free AAC trainings that can be done online. We’re putting together a resource list for a future post, but in the meantime, you can visit the Video of the Week section to locate free AAC webinars, modules, and videos on a wide range of AAC topics. Successful administrators are creative and flexible. Their schools and programs run well because they approach situations thoughtfully, and develop meaningful relationships with their staff. In schools, it is not unusual to treat the SLP the same way as the teachers and expect them to fall in line with expectations that aren’t a good fit for what the SLPs actually do and need to do. Administrators who value ongoing training that is based on what their professional staff need to know and do are more likely to attract and retain SLPs who can provide the highest quality of support to students and teams. This feels all too familiar. While I wouldn’t conaider myself an “expert”, I’ve realized my knowledge and comfort with AAC often exceeds that of my colleagues. I’ve been that contractor going into schools and wondering why the students aren’t using more appropriate technology and seeing the fear and lack of confidence of SLPs in the use of AAC. While I did not just leave like in the scenario you mentioned, it certainly is not an easy fix. I appreciate your insight and brainstorming of solutions for schools and administration to consider to help fix this issue on a larger scale. I can completely relate to this. I’m the AAC Specialist for a school system and work with several SLPs who have no clue about AAC. It’s a luxury to have my position and I’m grateful for that opportunity. I’ve actually started a private practice to help students who aren’t getting what they need in the school system and will hopefully offer services to train SLPs in the schools in my area in the future. SLPs definitely don’t receive enough training in AAC during school. I hope that can change in the future!